My sister and I have wanted to go to Alaska for a long time, inspired by our late grandmother who was able to tick it off her bucket list before she passed. This was a sort of memorial trip, wanting to see what she had loved and dreamed of seeing for so much of her life. 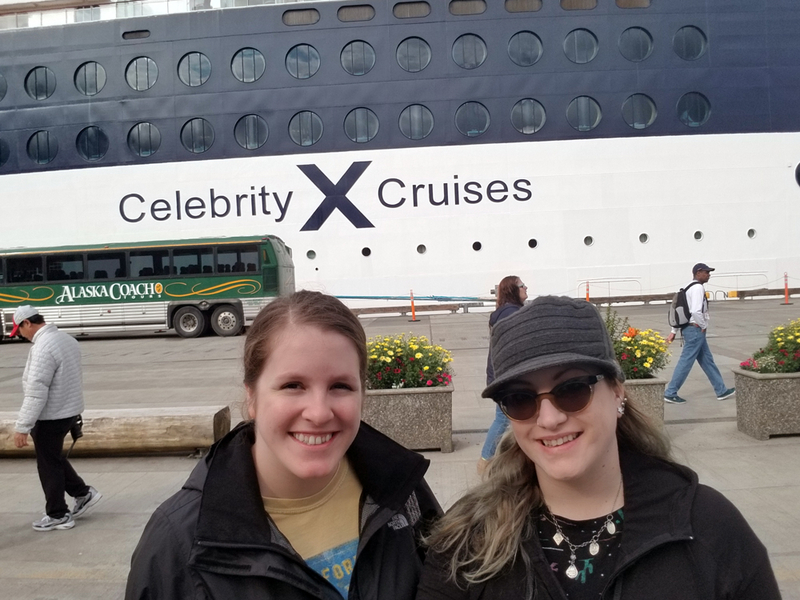 This was my second cruise with Celebrity, and I chose to go on the 7 Night Alaska Northern Glacier Cruise with Celebrity again because of a food allergy. They have fantastic options for anyone on a gluten free diet, and I’m sure they do very well with others. For any foodie, or discerning wine connoisseur, Celebrity is a fantastic choice. 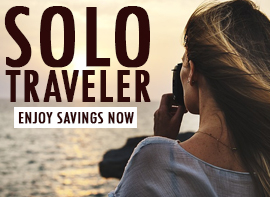 We chose a northbound cruise, from Vancouver, British Columbia, all the way up to Seward, Alaska, because we wanted to experience both the towns along the Inside Passage, as well as Hubbard Glacier. We spent the first day familiarizing ourselves with the ship, and experiencing the wonderful cuisine. (I’d highly recommend a dining package, a great deal to take advantage of some savings on the specialty dining restaurants!) 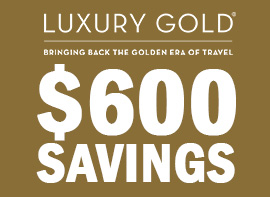 We got the 4-nights of specialty dining, and purchased an additional night onboard. We ate at each of the options – the Tuscan Grille, Qsine, and Sushi on Five. They were all fantastic, as were the main dining in the Metropolitan Restaurant, and the buffet. We stopped after a day at sea at our first port of call: beautiful Ketchikan. Located in the country’s largest national forest – the Tongass National Forest – we were awe-struck at the beautiful Alaskan scenery. We had excursions booked at each port, and in Ketchikan, we kicked it off with a bang – booking two. 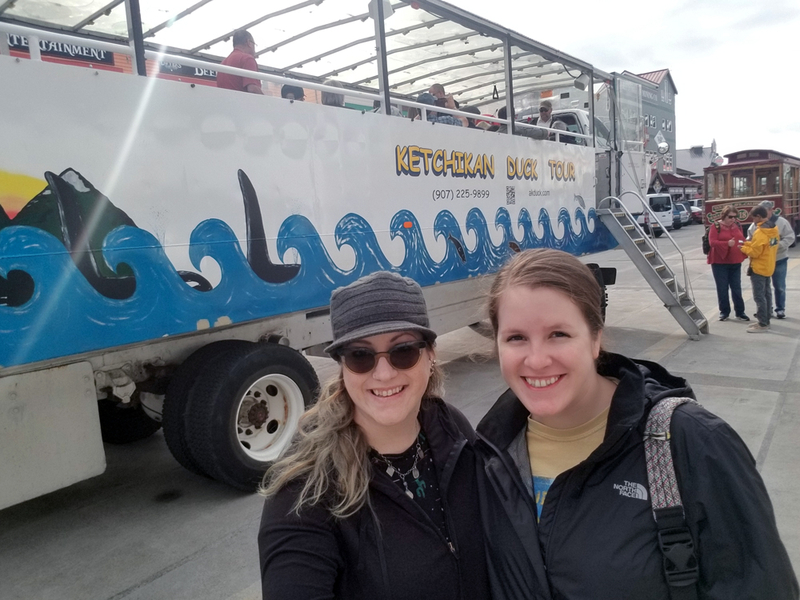 We started with the Ketchikan Duck Tour, which was a guided amphibious vehicle trip through the town itself, and then through several harbors. We dipped into the sea at Bar Harbor, and took a leisurely journey through the waters where we saw several bald eagles, and a few harbor seals. After we came back onto dry land, we disembarked the cute little wet/dry bus, and moved on to our next excursion: Rainforest Wildlife Sanctuary, Eagles and Totems. There we were met with a naturalist who took us on a hike through the forest, where we became familiar with some of the flora and fauna of Alaska. We saw bald eagles, salmon, slugs, and evidence of much bigger game. We ended the excursion meeting a few of the native birds who were injured, and now rescued and under the care of experts. We also met a couple of expert, locally-revered totem pole artisans, who were actively at work. The totem pole that they were working on told the story of a girl who, in the woods, had had an untimely encounter with a spider and its web. Trapped only briefly, she was able to free herself, and took the knowledge of the spider back to her tribe, where she taught her people how to weave nets, and catch their own prey – a huge leap in terms of fishing. 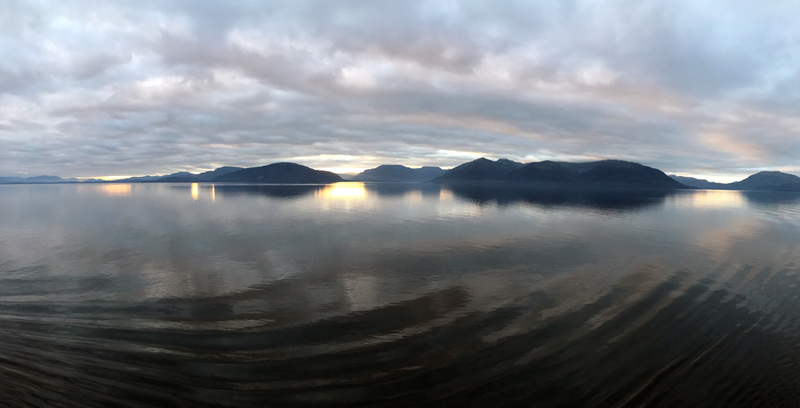 The next day was one of our favorites – we arrived at Icy Strait Point, where the closest town is Hoonah, Alaska. Icy Strait Point has, in recent years, become a full-fledged cruise port. The port, however, does not belong to the cruise companies – instead, the land still belongs to a collective of the Tlingit native settlement. As such, the local flavor is untouched, and many of their traditions flourish. 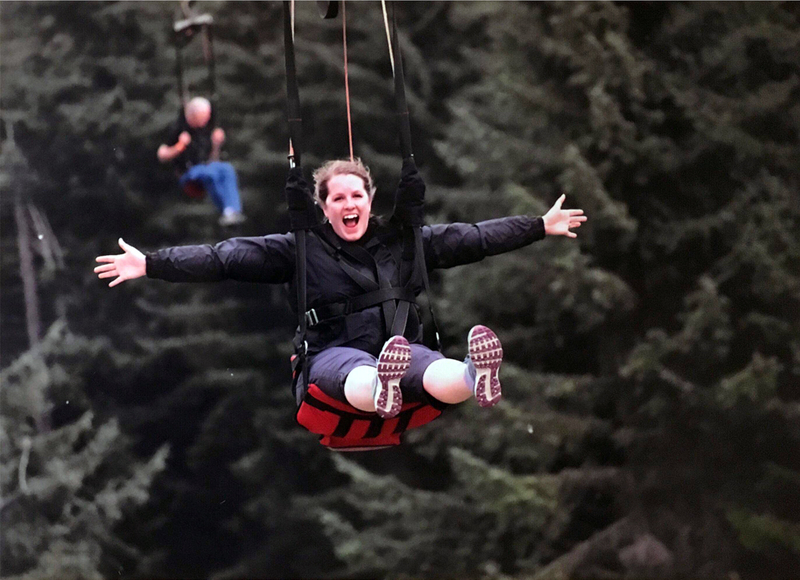 Here, for our excursions, we booked an excursion combo: the Whale and Marine Mammals Cruise, as well as a quick zippy trip down the world’s longest zip line. Icy Strait Point is renowned for its marine sightings, and disappoint it absolutely did not. Not only did we see sea lions, sea otters, but we also saw humpback whales and orcas cooperatively hunting and feeding. They are often at odds with one another, but this day, they worked in tandem. The orcas go after the bigger fish, while the humpbacks go after the smaller ones (their throats can only swallow golf ball-sized fish, surprisingly!). Opportunistic birds then swoop in, catching anything that they can. We were lucky enough to see a feeding frenzy, where the humpback whales had begun bubble net hunting. This is when they dive, cast bubbles up to confuse the fish, who think they are trapped in a tornado of bubbles. The whales then circle, and then leap up, catching mouthfuls of fish. It was really something special. After the utter delight of such a successful cruise, we then went zip-lining. An old, refurbished school bus driven by a cheerful Tlingit Air Force veteran took us up the mountain, where he gave us a wonderful tour and history of Hoonah on the way. The drive itself was very beautiful, and the little fishing village quaint and charming. The driver dropped us off where the bus could no longer go, and we hiked our way down a short distance through the beautiful forest to the jumping off point for the zip line. Saddled up in a swing, we held our breaths and then were released into the chilly air, where we were treated with an exhilarating view of the forest below. The ride itself lasted for about 90 seconds, and we zipped along reaching speeds up to 60 miles per hour. It was fantastic, but not for the faint of heart, or those who fear heights. At the next port of call during our Alaska Northern Glacier Cruise with Celebrity, we visited the capital city of Alaska: Juneau. In Juneau, as is fairly typical of the city, we were met with lots and lots of rain, so much so that our planned excursion (a helicopter up to a glacier, and then dog-sledding while up there) was rained out. Due to the season, the musher camp had been moved, and there was no opportunity to go mushing in the snow with the dogs that day. However, the rain clouds did have a silver lining. We knew that this was a possibility, and had pre-booked an alternative: visiting a musher’s camp NOT on the glacier. This was a success, and we got to go sledding with the dogs along a dirt road. The team greeted us raucously upon arrival, and couldn’t wait to get to work. 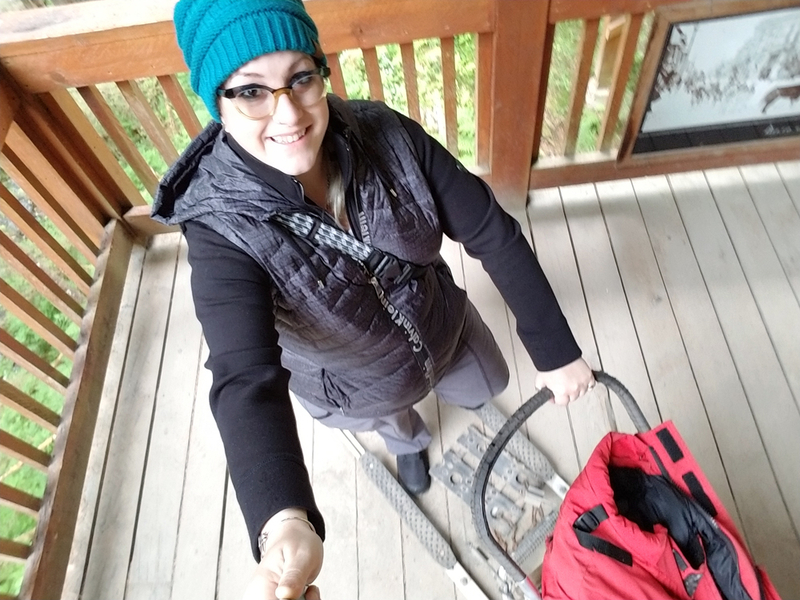 The mushers set us up in what seemed to be modified golf cart-like vehicles with a hand brake (to simulate the sled during the summer months, so the dogs can learn). We were pulled a few laps, and then disembarked the sled for a chance to meet the dogs, grab some hot chocolate, and then learn more about mushing, the Iditarod, and more. We met puppies that were 8 weeks, as well as 16-week old puppies. They were absolutely adorable. As sad as we were to leave, we were also excited about our next venture – getting up on that glacier! 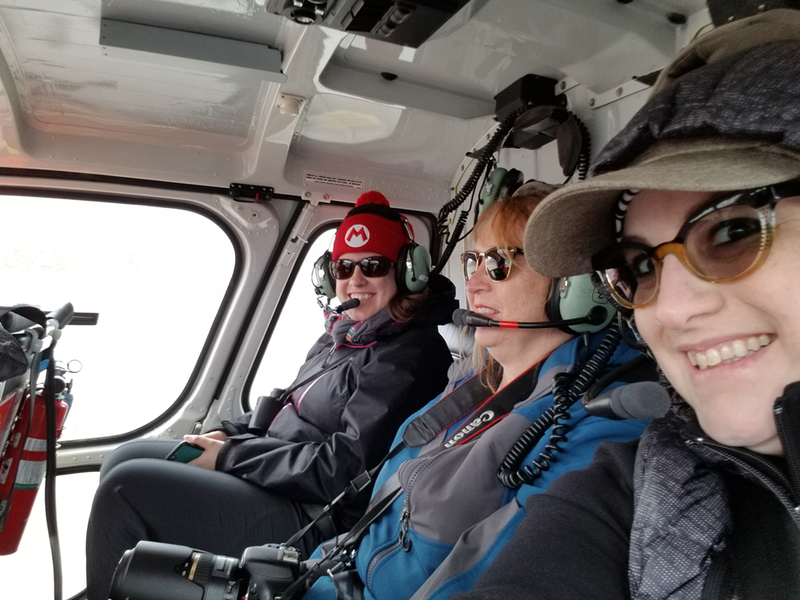 Though the glacier-mushing was cancelled, we still were able to do the helicopter ride up for the ice field landing and hiking. It was our first time in a helicopter, and it was absolutely stunning, though also something not for the faint of heart. We were in no way prepared for the sheer otherworldly beauty we’d soon see. We hiked around for about half an hour, before it was time to return. We were then met with even heavier rain – so much so that the rest of the day’s tours were cancelled. We made it just in the nick of time. 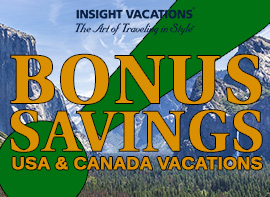 At the next port, Skagway, we’d booked the Yukon Adventure and White Pass Scenic Railway excursion. Skagway was a town built around the gold rush boom, and its historic buildings still echo that history today. I’d highly recommend the White Pass Scenic Railway to anyone. The story there, as well as the stunning scenery is well worth the while. It ventures up into British Columbia, and even as far north as the Yukon Territory. Bringing your passport is a must for this. The last day of our Alaska Northern Glacier Cruise with Celebrity was a sea day, but not at all boring. 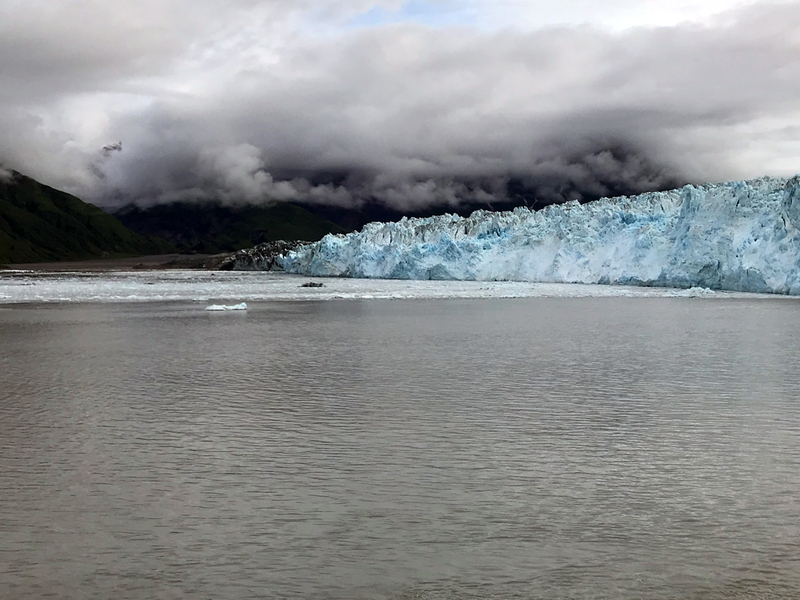 We sailed up to Disenchantment Bay to see the massive Hubbard Glacier, the largest tidewater glacier in North America. Stretching a whopping 76 miles from the Yukon Territory all the way to the Gulf of Alaska, it stands 11,000 feet above sea level. We were lucky enough to get very close to the glacier – the captain mentioned it was the closest he’s been this season. We saw the glacier calving, and heard the crackling-boom as the ice broke apart and splashed down into the water. We saw a few stellar sea lions nearby, and cruised through a captivatingly beautiful sea of ice. Not to worry – it was entirely safe, and the captain took excellent care of us. The next morning, we’d arrived at Seward, where we ended our sea journey, and disembarked the ship. We booked an airport transfer aboard the beautiful Grandview Train, which runs from Seward all the way up to Anchorage, where the magnificent scenery continues. We saw several more glaciers, snow-capped mountains, and mirrored lakes. From forests, to mountains, to the sea, and all the wildlife therein, Alaska will always have a very warm place in my heart, and a vacation I would recommend Alaska Northern Glacier Cruise with Celebrity to anyone with a love for nature.